Liturgical books. Books that contain the text and instructions for liturgical services. These books contain basic church services (the Divine Liturgy, vespers, matins, and so forth) and/or special services (such as baptisms, weddings, and funerals). 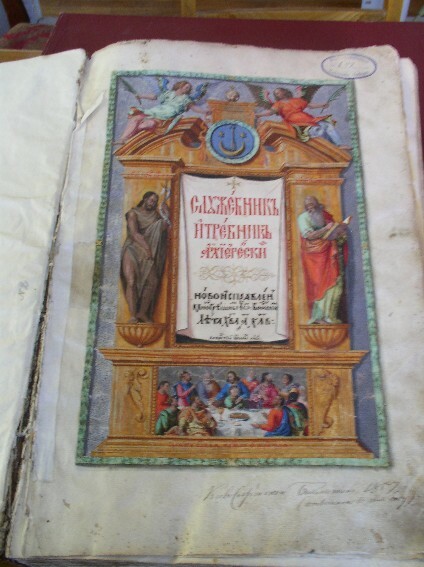 General liturgical books include the liturgicon (sluzhebnyk); horologion (chasoslov); octoechos (oktoikh); menaion (mineia); triodion (triod’); and typikon (typikon or typyk), which contains the statutes governing services. Special or individual services are contained in the euchologion (trebnyk), acathistus (akafisnyk), breviary (molytoslov), and other books. Liturgical books that provide both text and notes (for singing) include the octoechos; hirmologion; and triod notna, a type of triodion. The bohohlasnyk includes text and notes for popular religious songs and hymns sung in the Ukrainian Catholic church. A final category of liturgical books includes those with texts of the Scriptures: the Bible, Apostolos, and psalter. 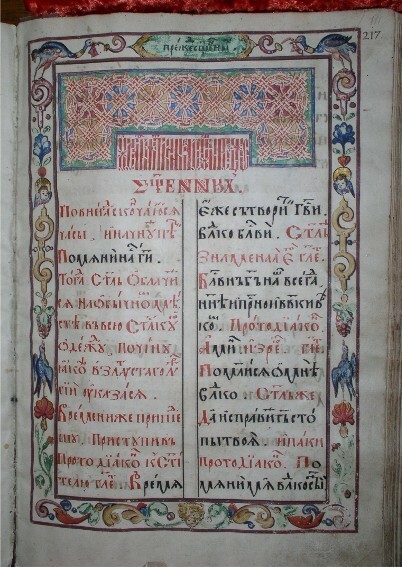 The earliest liturgical books used in Ukraine were Church Slavonic translations of Byzantine texts. 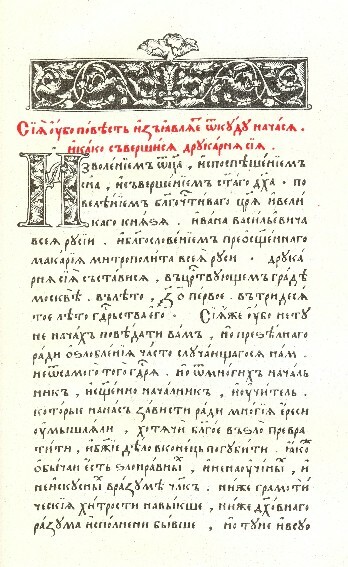 The subsequent history of Ukrainian liturgical books is linked closely to major changes in the history of the Ukrainian churches, including the devastation suffered during the Mongol invasion, the strife resulting from division into two churches, subordination to the Russian Orthodox church in the 18th to 20th centuries, the brief renaissance of the 20th century, repression under Soviet rule, and existence as a diaspora church outside of Ukraine. Each such major change in the circumstances of the churches has been accompanied by calls to revise extant church texts. 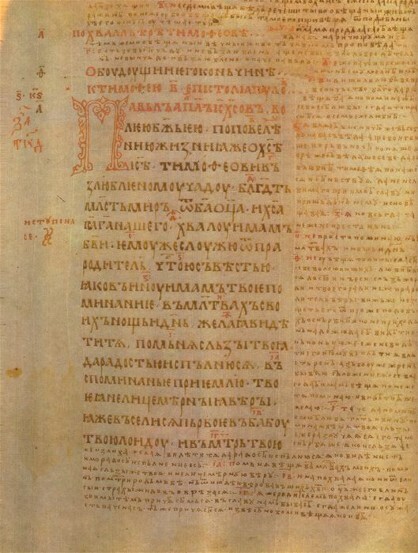 During the 16th–century Ukrainian Orthodox revival, for example, discussions begun at sobors in 1591 and 1593 resulted in an extensive review of church texts (which were checked against Greek originals and earlier Church Slavonic versions) and revision of the euchologion (1606), liturgicon (1617 and 1620), triodion (1627 and 1631), menaion (1638), and other books. 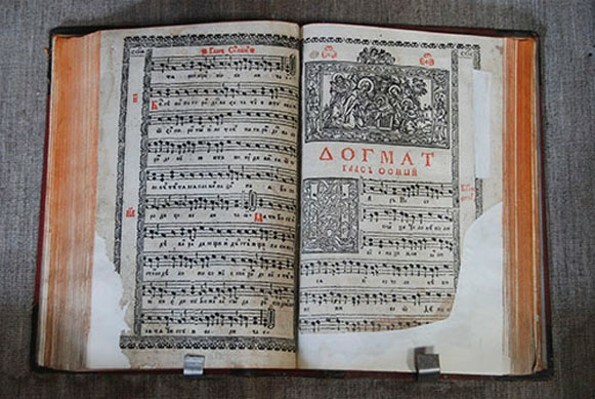 With the strengthening of Russian control over Ukrainian church affairs, liturgical books were Russified and purged of Ukrainian elements, and for much of the 18th and 19th centuries the Russian church officially prohibited the printing and distribution of Ukrainian liturgical books. At the same time, Ukrainian Catholic liturgical books and practices were being subjected to strong Latinizing and Polonizing pressures, evident, for example, in the decisions of the Synod of Zamostia of 1720.